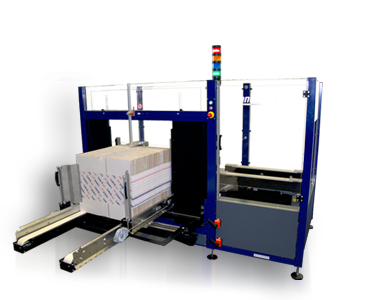 Our C-400 Case Erector Machine can be modified for a variety of case dimensions. Machine can be modified for a variety of case dimensions. Various communication configurations possible. The exit height of the cases can be extended in increments of 50mm up to a maximum of 850mm. The C-300 Case Erector Machine can be modified for a variety of case dimensions. The exit height of the cases can be extended in increments of 50mm up to a maximum of 850mm. Holds additional tape head. Applies 75mm wide tape. Replaces standard 50mm tape head. Various communication configurations possible. Please contact Lantech for details. Increases the number of blanks the magazine holds. Many options available for case types and dimensions, speeds, closing methods, machine frame and magazine, and machine performance data communications are available. This machine can be modified for a variety of case dimensions. Many options available for case types and dimensions, speeds, closing methods, machine frame and magazine, and machine performance data communications are available. High efficiency nozzles spray hot melt exactly where you want it. Welded steel frame and heavy duty locking casters provide easy maneuverability. 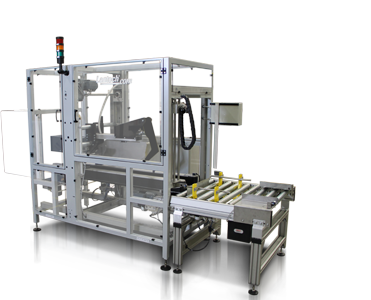 Contact Packaging stocks a full line of Lantech erector machines as well as other end-of-line wrapping and packing machinery for your factory, storage facility, warehouse or moving company. These state of the art Lantech erector machines are durable, dependable and are available in either fully automatic or semi-automatic operational modes. 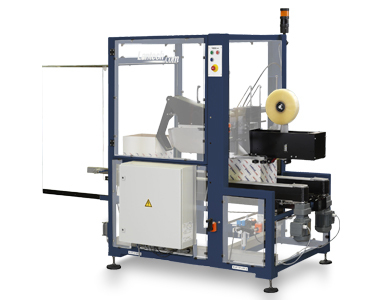 You are certain to find a Lantech erector machine at Contact Packaging that’s perfect for your needs at a price that won’t make a hole in your bottom line. Cardboard boxes don’t come from the box factory pre-assembled. They are cut to purpose, scored as necessary and shipped flat in bundles. Once they get to the production facility they need to be properly erected before they’re able to accept product. A case erector takes one flat blank case at a time and within seconds transforms it into a useful storage or transport device. In a busy factory case erectors can save thousands of man hours and help you achieve greater productivity, a higher degree of safety and greater profitability. Case erectors have been widely adapted by companies large and small in the food, beverage, pharmaceuticals, household products, auto parts, personal care and other industries. They are the backbone of many a production facility today. They are also compact and fully customizable so as to integrate effortlessly into any type of production line. 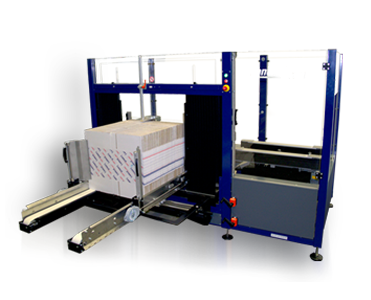 Whether your facility utilises automated drop loading or hand packing, having the right erector machine on the job will save you time, money and hassles. 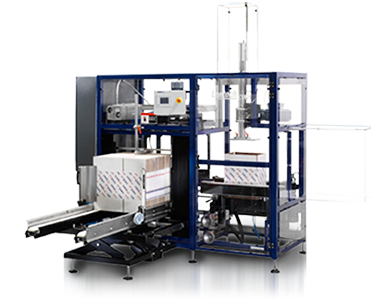 Contact Packaging can match you with just the right erector machine for your facility. So don’t delay. Get in touch by ringing us on 01772 694140, emailing us at sales@contact-packaging.co.uk or filling out the handy form on our ‘contact’ page. We’ll be happy to provide you with a free quote so you can make an informed decision.